The Town of Newmarket, Ontario launched its own municipally owned internet service provider yesterday. Dubbed ‘Envi Network,’ Newmarket’s service is set to provide residents with gigabit speeds, while some customers are expected to access speeds of up to 10Gbps. Envi will not cap data consumption, meaning that Newmarket residents will have access to an unlimited internet bucket. The goal is to offer enterprise and residential consumers with an alternative to some of the other internet service providers in the region — like Bell and Rogers — while simultaneously covering a wider geography of residents than those other service providers. Additionally, the hope is to make Newmarket more attractive to companies and individuals part of the growing knowledge and innovation economies. The network itself was launched on June 13th, 2018, but Envi’s first customers will be coming onboard over the course of the next month. 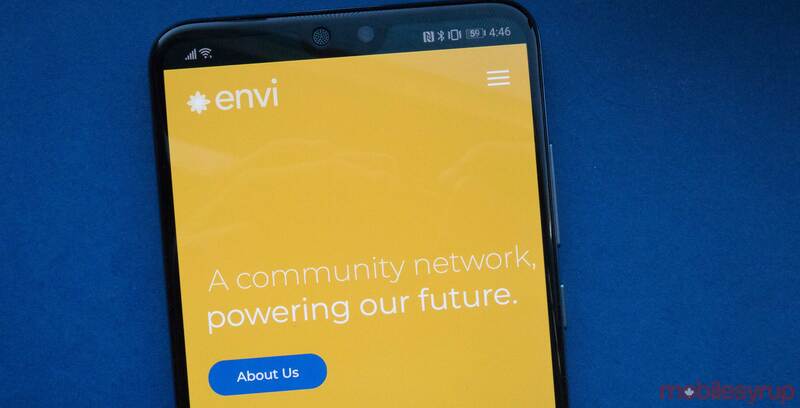 “Those first customers are the Town of Newmarket…as well as Newmarket Power, the hydro utility, and we have a growing list of people that want to get onboard, so our challenge is to get to them as fast as we can,” said Jim Gragtmans, general manager of Envi Network, in a phone interview with MobileSyrup. The network’s first phase is set to be completed by the end of summer 2018, with the core loops expected to be ready across the whole community within the next 36 months. Gragtmans explained that the service most likely won’t be available for every single resident of Newmarket for a few years. Envi plans on pricing its service along three tiers: one for enterprise customers, one for small-to-medium businesses and one for residential subscribers. According to Gragtmans, enterprise customers so far have been able to save “20 to 50 percent” compared to some of the other internet service providers who operate in the region. Envi Network is a subsidiary of Newmarket Hydro Holdings Inc., itself owned by the Town of Newmarket and partially owned by the Township of Tay. According to Newmarket mayor Tony Van Bynen, the cost of Envi’s service will have no effect on taxpayers or ratepayers. “The business case is solid enough that sustainability is here, and the projected operating revenues will be sufficient to service the debt over the long term,” said Van Bynen, in a phone interview with MobileSyrup. Gragtmans added that Envi’s network is funded through Newmarket Hydro Holdings, with some additional funding coming from bank loans. “It’s not costing the Town of Newmarket anything,” explained Gragtmans. Of course, Van Bynen believes that there will be some form of user fee related to operating cost, but he emphasized that the service would still be priced more competitively than some of the town’s existing internet services. Additionally, both Gragtmans and Van Bynen said that any costs or fees would be redistributed back into the community. “All of these dollars stay right here in our own community, so that anyone who signs onto our company know that,” said Van Bynen. Apple to open 2 new retail locations this weekend: Newmarket, Ontario and Richmond B.C.